Boxercise - is an exercise class based on the training concepts boxers use to keep fit. Classes can take a variety of formats but a typical one may involve shadow-boxing, skipping, hitting pads, kicking punchbags, press-ups, shuttle-runs and sit-ups. Les Mills Body Combat - None contact - This interval training program is fiercely energetic and is inspired by mixed martial arts! Body Combat draws from karate, kung fu, boxing, taekwondo and muay thai to name a few. Supported by driving music, you will strike, punch, kick and kata your way through a lot of calories to superior cardio fitness. Clubbercise - is a fresh new dance fitness class with easy-to-follow routines taught in a nightclub atmosphere with rave glow sticks, lasers & disco lights. If you like the idea of a workout that feels more like a night out on the town you’ll love Clubbercise. 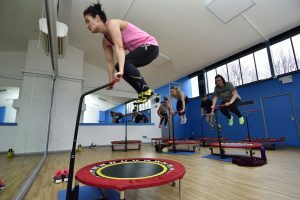 Part aerobic, part dance it’s taught in a darkened room with disco lighting set to a soundtrack of uplifting club anthems. You’ll hear anything from 90’s classics like N-Trance, Set You Free to the very latest track from David Guetta. The Club’s air-conditioned Fitness Suite located in the main building on Plas Newton Lane is fully equipped with both C.V. and Resistance equipment. Our club offers a welcoming environment where everyone, at every level of fitness, can feel comfortable. Our friendly staff are always on hand to provide new member inductions or on-going fitness advice when needed.The Cheshire is on an exciting journey with its fitness brand and coming soon we have lots of additions, and exciting developments that will continue to make our fitness offering the best value for money in the area! Don’t forget you can access our fitness suite and group fitness classes as many times as you wish with our all inclusive monthly membership. Membership prices start from £15.00 (Concession DD) per month!!! We are currently offering the following Fitness Membership at The Cheshire. Unlimited use of the Fitness Suite and Group Fitness Classes. 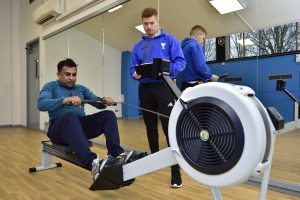 If you are an active member of any of our ‘home based clubs’ then this provides you with unlimited use of the Fitness Suite and Group Fitness. Please ask staff for further details. If you are aged 14-17yrs or over 60yrs then this provides you with unlimited use of the Fitness Suite and Group Fitness Classes. Single 1 Year Membership £247.50 one off payment! Want to try us out first? 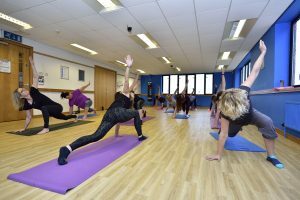 Unlike many other fitness establishments we still offer a Pay As You Go option with no membership required where you can attend a Fitness Suite session or try out one of our classes as many times as you like starting from £4.50 per session. All new members are required to have an induction with one of our friendly instructors. Looking for 1 to 1 training? We now offer Personal Training @ The Cheshire. There are many choices for PT and prices start from £30 per session. Contact us now to book your session with Ethan.